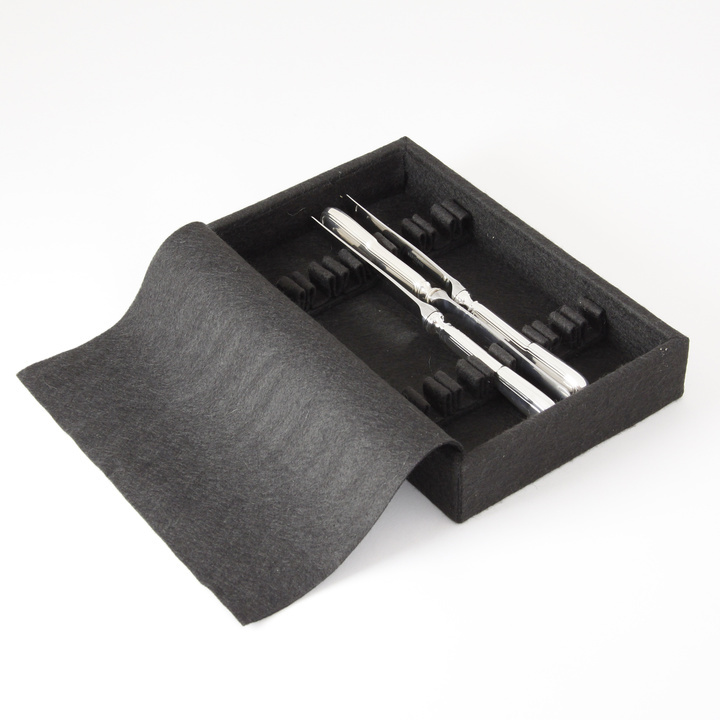 ALL OUR SILVER STORAGE SOLUTIONS ARE MADE WITH THE SAME ANTIOXIDIZING FEUTRINE. We also tailor the bowls to the dimensions of your drawers. To put in the bottom of a drawer or to stack in a cupboard, it is the ideal storage in order to profit regularly from your silverware. 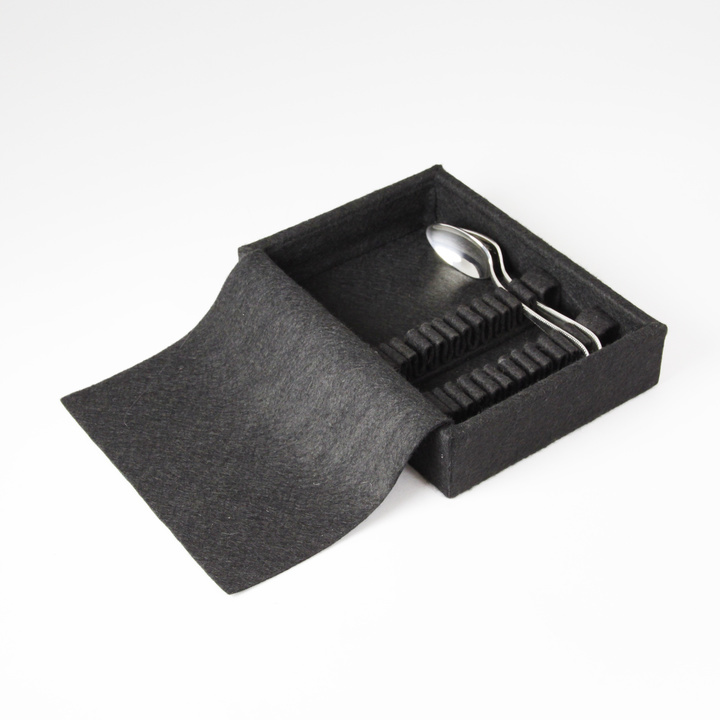 These bowls completely covered with antioxidant felt and embellished flap will allow you to store your silverware and arrange your drawer at your convenience. So you can easily use your cutlery puique you just have to lift the flap to reach the cutlery. But you can also go out individually when you have to prepare your table. Our bowls are made of MDF (wood fiber) and completely filled with antioxidant felt to protect your cutlery from scratches and oxidation. Each bowl is provided with a flap incorporated in anti-oxidant felt so that your silverware stays sparkling for a long time. 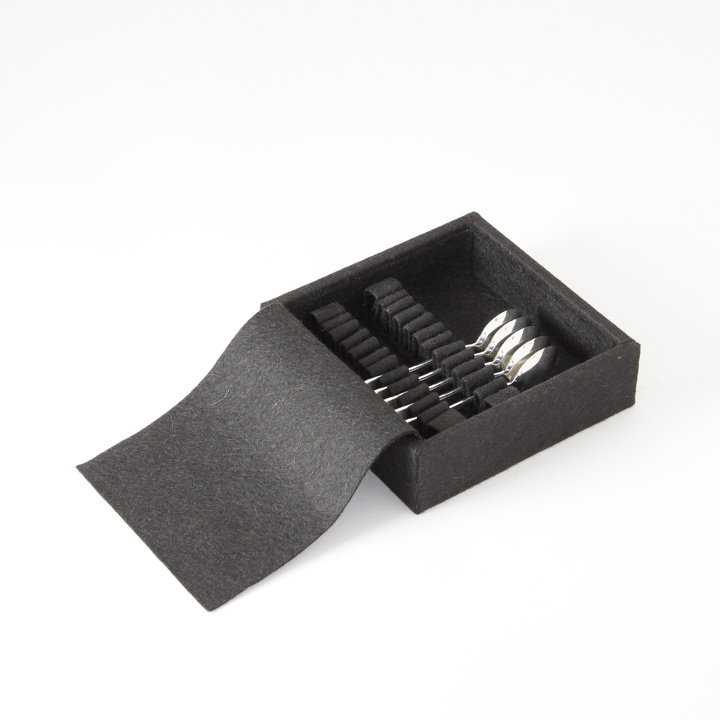 Use advice: fill the bottom of your drawer with adhesive felt which will allow you in places that will remain free to place your service pieces on our individual supports. 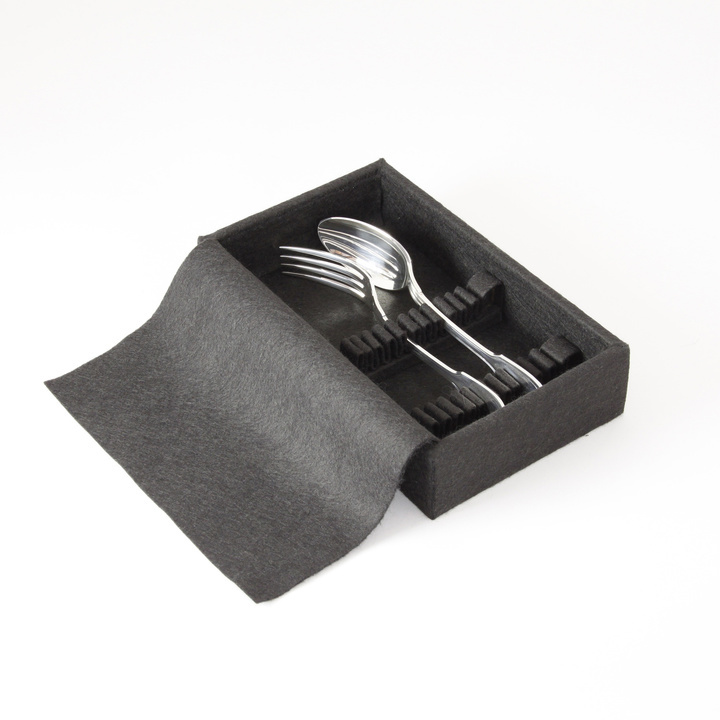 Manufactured in our workshops which will allow to adapt the bowls to your cutlery.